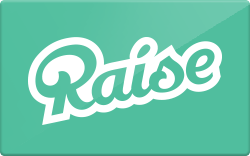 Sell your Virgin Mobile gift card on Raise to get cash back. We suggest you discount your Virgin Mobile gift card between 2% and 20% off, but with Raise, you have the freedom to choose the selling price! Our secured gift card marketplace is full of buyers searching for discount gift cards, so your Virgin Mobile gift card is sure sell quickly. Just fill out the form below to get started. At this time, we are only accepting Virgin Mobile gift cards from select sellers. If you would to like to sell a gift card from a different retailer on our marketplace, visit our Sell Gift Cards page.